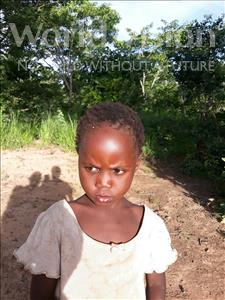 Fatmata lives in the West African country of Sierra Leone, one of the world’s poorest countries. Tragically one in six children die here before their fifth birthday. Your support will make a real difference by helping World Vision work with families, so that they have a livelihood to support their children, along with finding ways to help children go to and stay in school for the long term. When you sponsor me you’ll be helping to give me a brighter future, and over time, as my sponsor, you’ll be able to see and hear about how you are helping to change my life. You can even send me a card on my birthday, which I’ll love! 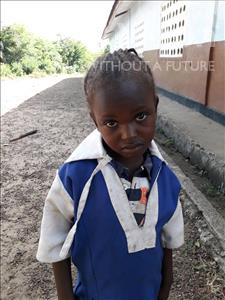 Help make a difference to Fatmata by sponsoring her today. Sok Visal lives in Cambodia, located in Southeast Asia, bordered by Thailand, Laos, Vietnam and the Gulf of Thailand. It has a hot and humid tropical climate with little temperature variation throughout the year. World Vision is committed to partnering with the people of Cambodia to improve their lives today and to help deliver sustainable solutions for the future of their children, families and communities. 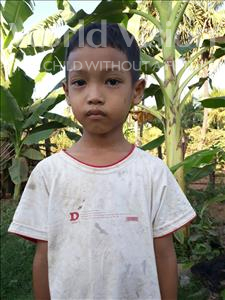 Help make a difference to Sok Visal by sponsoring him today. Amy lives in Senegal, the Western-most country in Africa and one where poverty is widespread and child mortality is high. Your child sponsorship is vital to help World Vision’s work in Senegal and to improve healthcare and ensuring access to safe, clean water. This will provide a better future for families and their children. Help make a difference to by sponsoring her today. Riya lives in one of the poorest and most neglected districts in Asia. Despite being a fast growing economy, poverty is still widespread in rural India, where over one third of all children are malnourished. By sponsoring a child, you can help World Vision tackle the big issues that keep families and their children in poverty, through improvements to health, sanitation, education and income generation for the poorest children and their families. Help make a difference to Riya by sponsoring her today. Daniel lives in landlocked Uganda, in Eastern Africa - a country bordered by five other nations. Here, the lack of resources dedicated to education means that children experience a poor level of learning at school. Poverty also means that a child’s attendance at school can be sporadic. Uganda was one of the countries hardest hit by the HIV/Aids pandemic. Your support will be vital in helping World Vision’s work with the community to help improve education provision and reduce HIV infection levels. 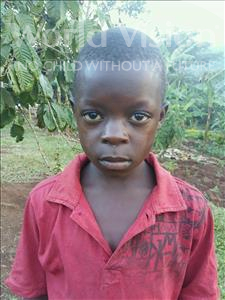 Help make a difference to Daniel by sponsoring him today. Jhoselin lives in the most remote and harshest area in Bolivia, one of Latin America’s poorest countries. Life here is tough for families, many struggle with poor health and malnutrition among children is common. Sadly, domestic violence and child abuse are also widespread. 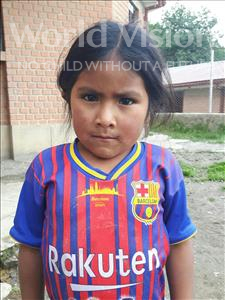 With your support World Vision will be able to keep working to improve the health and wellbeing of children in Bolivia. 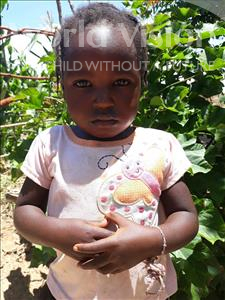 Help make a difference to Jhoselin by sponsoring her today. Rhodah lives in Zambia, a country landlocked by eight other nations in southern Africa. Most families here rely solely on their land to make a living, but with only one harvest a year, they frequently endure a lean season between September and February. Your help will mean that World Vision can work with families so that children have more nutritious food and as a result are less vulnerable to the affects of malnutrition. 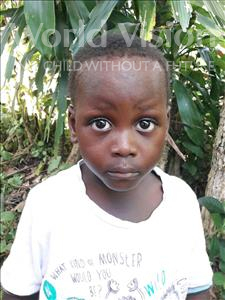 Help make a difference to Rhodah by sponsoring her today. Gilbert Soce lives in Senegal, the Western-most country in Africa and one where poverty is widespread and child mortality is high. Your child sponsorship is vital to help World Vision’s work in Senegal and to improve healthcare and ensuring access to safe, clean water. This will provide a better future for families and their children. Help make a difference to by sponsoring him today. Yeimi Marilu lives in Honduras, central America, which is vulnerable to natural disasters. Malnutrition, infant diseases, social unrest and illiteracy are also widespread. Your support will help provide families with solutions to malnutrition, giving children in Honduras a healthier and brighter future. 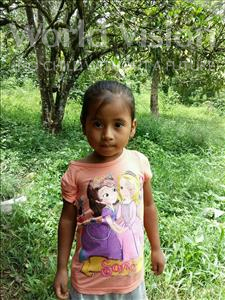 Help make a difference to Yeimi Marilu by sponsoring her today. 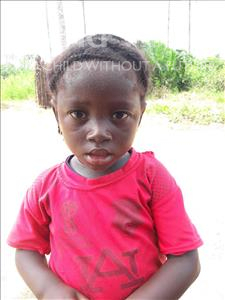 Aminata lives in the West African country of Sierra Leone, one of the world’s poorest countries. Tragically one in six children die here before their fifth birthday. Your support will make a real difference by helping World Vision work with families, so that they have a livelihood to support their children, along with finding ways to help children go to and stay in school for the long term. 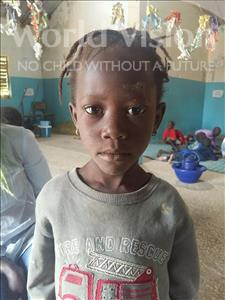 Help make a difference to Aminata by sponsoring her today. Josephine lives in landlocked Uganda, in Eastern Africa - a country bordered by five other nations. Here, the lack of resources dedicated to education means that children experience a poor level of learning at school. Poverty also means that a child’s attendance at school can be sporadic. Uganda was one of the countries hardest hit by the HIV/Aids pandemic. Your support will be vital in helping World Vision’s work with the community to help improve education provision and reduce HIV infection levels. 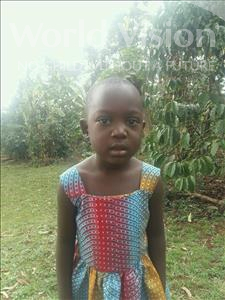 Help make a difference to Josephine by sponsoring her today. Laxman lives in one of the poorest and most neglected districts in Asia. Despite being a fast growing economy, poverty is still widespread in rural India, where over one third of all children are malnourished. By sponsoring a child, you can help World Vision tackle the big issues that keep families and their children in poverty, through improvements to health, sanitation, education and income generation for the poorest children and their families. 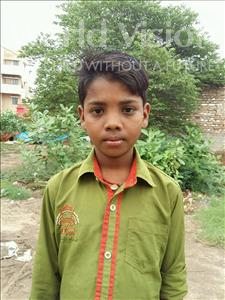 Help make a difference to Laxman by sponsoring him today. 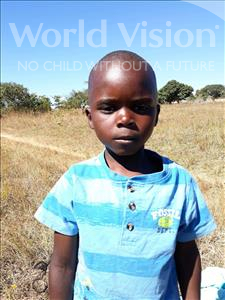 Saul lives in Zambia, a country landlocked by eight other nations in southern Africa. Most families here rely solely on their land to make a living, but with only one harvest a year, they frequently endure a lean season between September and February. Your help will mean that World Vision can work with families so that children have more nutritious food and as a result are less vulnerable to the affects of malnutrition. 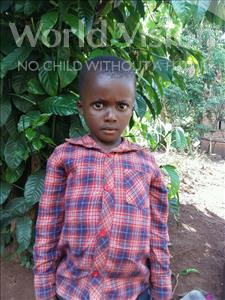 Help make a difference to Saul by sponsoring him today. Reagan lives in landlocked Uganda, in Eastern Africa - a country bordered by five other nations. Here, the lack of resources dedicated to education means that children experience a poor level of learning at school. Poverty also means that a child’s attendance at school can be sporadic. Uganda was one of the countries hardest hit by the HIV/Aids pandemic. Your support will be vital in helping World Vision’s work with the community to help improve education provision and reduce HIV infection levels. Help make a difference to Reagan by sponsoring him today. Wilber lives in landlocked Uganda, in Eastern Africa - a country bordered by five other nations. Here, the lack of resources dedicated to education means that children experience a poor level of learning at school. Poverty also means that a child’s attendance at school can be sporadic. Uganda was one of the countries hardest hit by the HIV/Aids pandemic. Your support will be vital in helping World Vision’s work with the community to help improve education provision and reduce HIV infection levels. 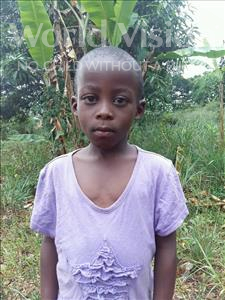 Help make a difference to Wilber by sponsoring him today. Rafail lives in landlocked Uganda, in Eastern Africa - a country bordered by five other nations. Here, the lack of resources dedicated to education means that children experience a poor level of learning at school. Poverty also means that a child’s attendance at school can be sporadic. Uganda was one of the countries hardest hit by the HIV/Aids pandemic. Your support will be vital in helping World Vision’s work with the community to help improve education provision and reduce HIV infection levels. 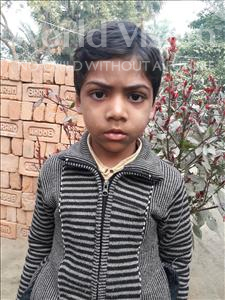 Help make a difference to Rafail by sponsoring him today. Metrude lives in Zambia, a country landlocked by eight other nations in southern Africa. Most families here rely solely on their land to make a living, but with only one harvest a year, they frequently endure a lean season between September and February. Your help will mean that World Vision can work with families so that children have more nutritious food and as a result are less vulnerable to the affects of malnutrition. 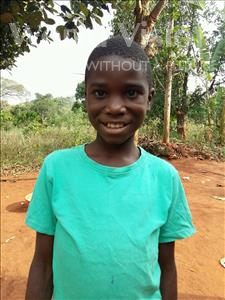 Help make a difference to Metrude by sponsoring her today. Ibrahim Fatorma lives in the West African country of Sierra Leone, one of the world’s poorest countries. Tragically one in six children die here before their fifth birthday. Your support will make a real difference by helping World Vision work with families, so that they have a livelihood to support their children, along with finding ways to help children go to and stay in school for the long term. 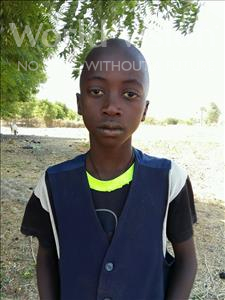 Help make a difference to Ibrahim Fatorma by sponsoring him today. DESIRE lives in landlocked Uganda, in Eastern Africa - a country bordered by five other nations. Here, the lack of resources dedicated to education means that children experience a poor level of learning at school. Poverty also means that a child’s attendance at school can be sporadic. Uganda was one of the countries hardest hit by the HIV/Aids pandemic. Your support will be vital in helping World Vision’s work with the community to help improve education provision and reduce HIV infection levels. 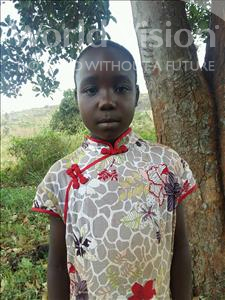 Help make a difference to DESIRE by sponsoring her today. 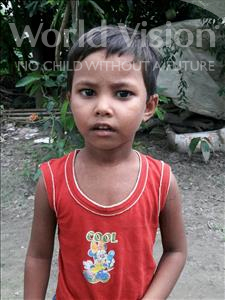 Karan lives in one of the poorest and most neglected districts in Asia. Despite being a fast growing economy, poverty is still widespread in rural India, where over one third of all children are malnourished. By sponsoring a child, you can help World Vision tackle the big issues that keep families and their children in poverty, through improvements to health, sanitation, education and income generation for the poorest children and their families. Help make a difference to Karan by sponsoring him today.